Bob is the Junior High & High School Director at Empower College Prep (Grades 7-11) he moved to the valley as a jr-hi student from the NY area. He attended HS and college at ASU where he as a major in Special Education and a Master’s in Counseling. He completed his Doctorate in Educational Leadership in 2002. He was worked as a teacher, counselor, coach, Principal, Director of High School and CEO. Collectively Dr. Rossi has over 37 years of experience working in schools in AZ and across the country/ His consulting work has brought him to over 30 schools in 7 different states. He has been a speaker at the National Principal’ conference for five years and let the largest comprehensive reform of the largest high school it CT. The work received national recognition from the College Board and District Administration Magazine. Dr. Rossi’s true passion is working in school reform and redesign and teacher development. He has taught over 300 college classes in the field of education, counseling and Principal development. Myrtle De Lara-Rojas grew up in New Jersey and graduated with a B.S. in Accounting and International Business. Prior to teaching, she has worked as a tax accountant, auditor, and missionary with religious organizations in Ecuador and Tanzania where she discovered her passion for teaching. Myrtle joined Teach for America in Phoenix where she obtained her certificate and Masters in Education for Curriculum & Instruction from ASU. 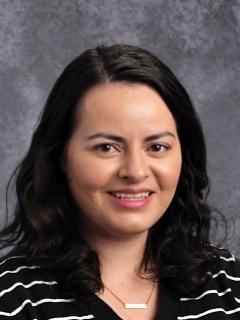 During her 14 years in education, she has worked in Title 1 schools teaching all content to student grades 2-8 as a general teacher, gifted teacher, and dual-language teacher. She was honored as Rodel Exemplary Teacher Finalist in 2010 and Semi-Finalist in 2014. 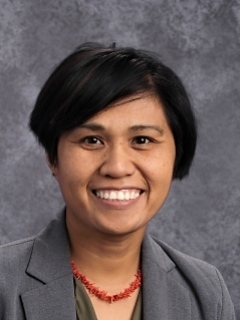 As the Dean of Curriculum & Instruction at ECP Elementary last year, she supported math and science teachers with curriculum alignment, assessment, and instruction, resulting in state math proficiency growth of 7%-23% in all, but one grade level. She is excited to be at the High School where she will see all her previous 6th grade math students as they prepare for college and fulfill their purpose. She is honored and inspired to work alongside teachers who are as passionate about making sure that all students receive an excellent education! Ms. Cindi Gordon earned a Bachelors in Liberal Studies, a Masters Degree in Special Education & Elementary Education, and will earn her Masters in Educational Leadership from Arizona State University in December of 2019. Ms. Gordon originally worked in the field of Juvenile Corrections, but her passion is special education and working with high needs populations within school settings. In the past she has worked with students aged 4 through 22; as a teacher, program coordinator, academic coach, a trainer. She looks forward to supporting ECP families, students and staff as our school continues to grow. Natalie Morgan serves as our College and Career Counselor. She has 7 years experience developing college-prep programs in Phoenix and Los Angeles. Natalie is an alumna of UC San Diego having studied Cognitive Science and found her passion for education justice through her service with Public Allies Los Angeles, an Americorps program. In her free time she enjoys dancing, reading and mentoring youth. Kristen Connor graduated from University of Massachusetts, Amherst with a bachelor’s degree in Psychology and furthered her education at Boston University obtaining her master’s degree in Social Work. Kristen recently moved to the Phoenix area from Boston and appreciates the warm weather! In her free time, she enjoys hiking, traveling, and reading. Ibrahim Masad was born and raised in Glendale, Arizona. He serves as our Operations Coordinator for the High school campus. Growing up he loved to take things apart and put them back together. Outside of work he serves passionately at his church by running the audio and tech department. He recently married the love of his life, Alysse and lives happily ever after with their Golden retriever, Walter.